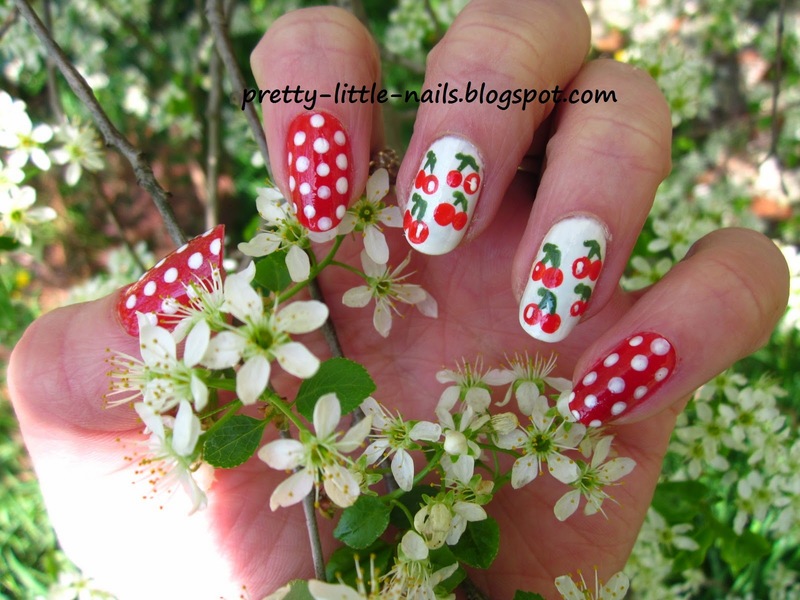 Talking about red polishes...this one's Essence LE Guerilla Gardening 04 Floral Glam. 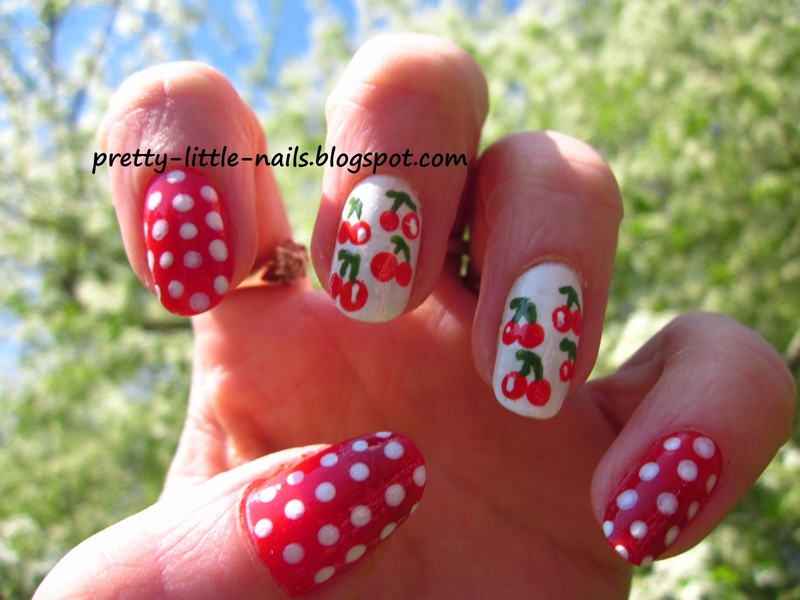 Nice color, but I don't like jelly polishes...That's why I had to apply 3 coats, but you still can see tip of my nails. 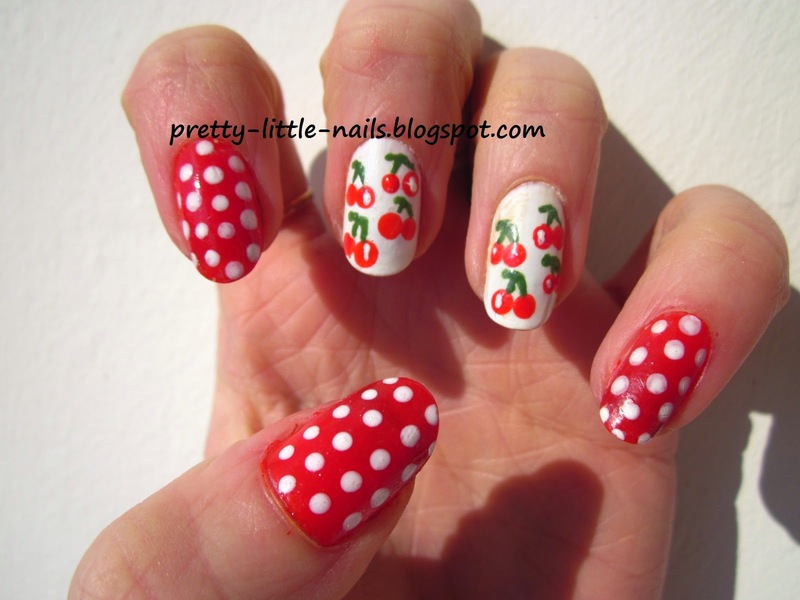 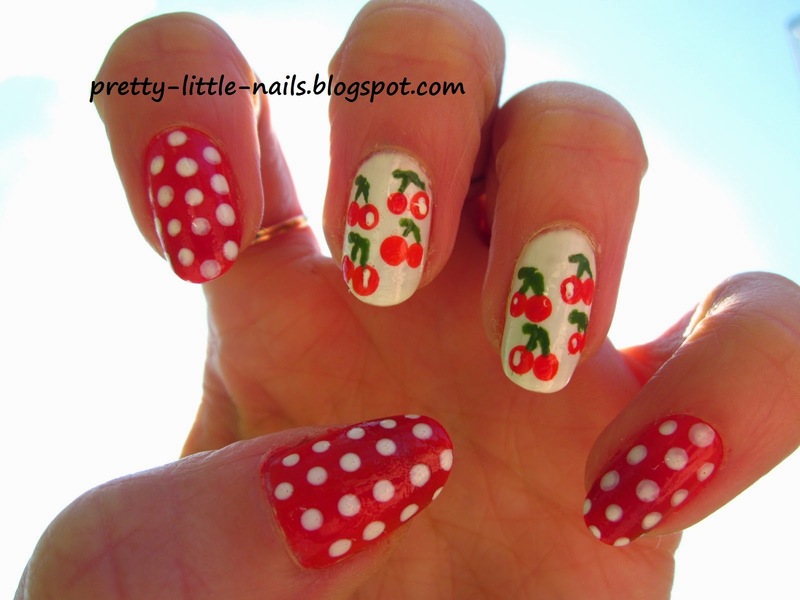 love dots and cute cherries ! 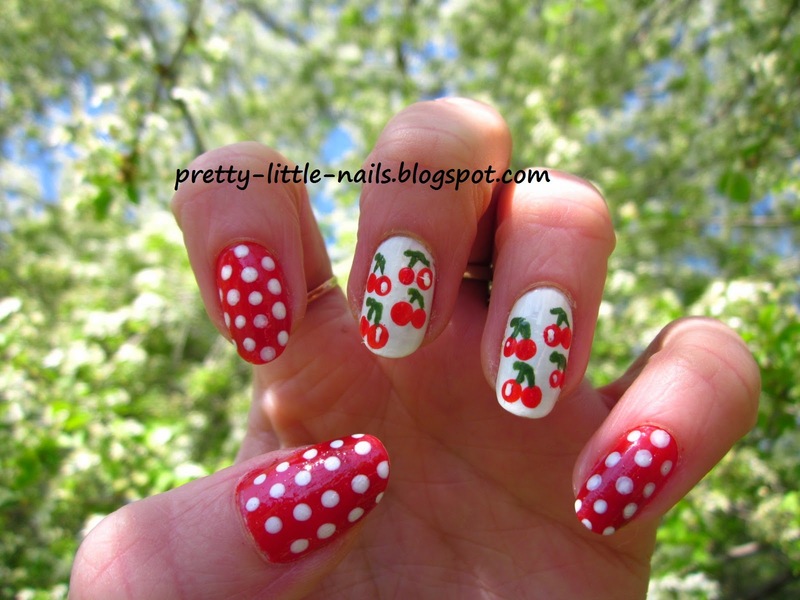 love summer , but here is raining for a 3-4 weeks ! 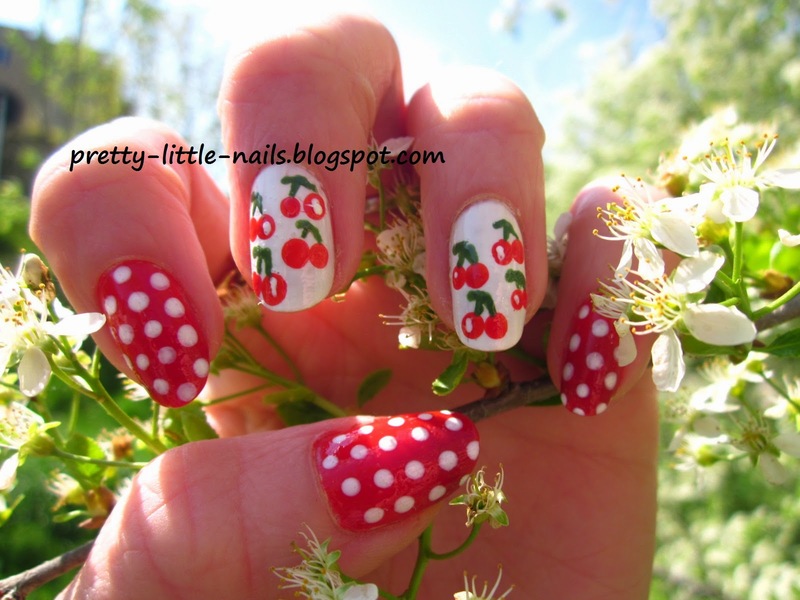 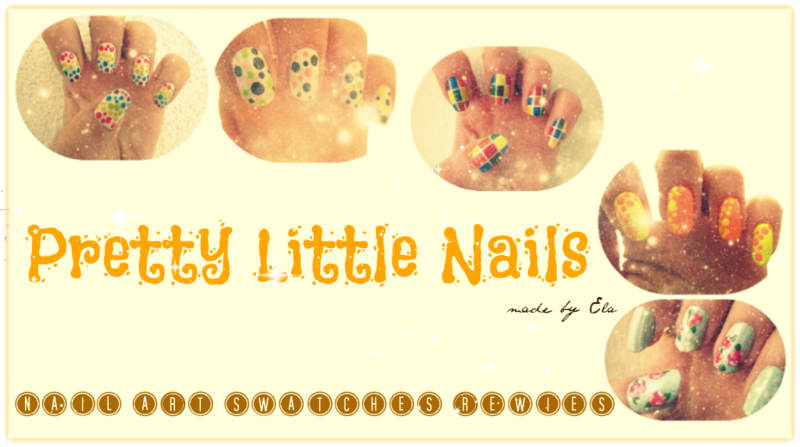 These look so cute and perfect for summer! 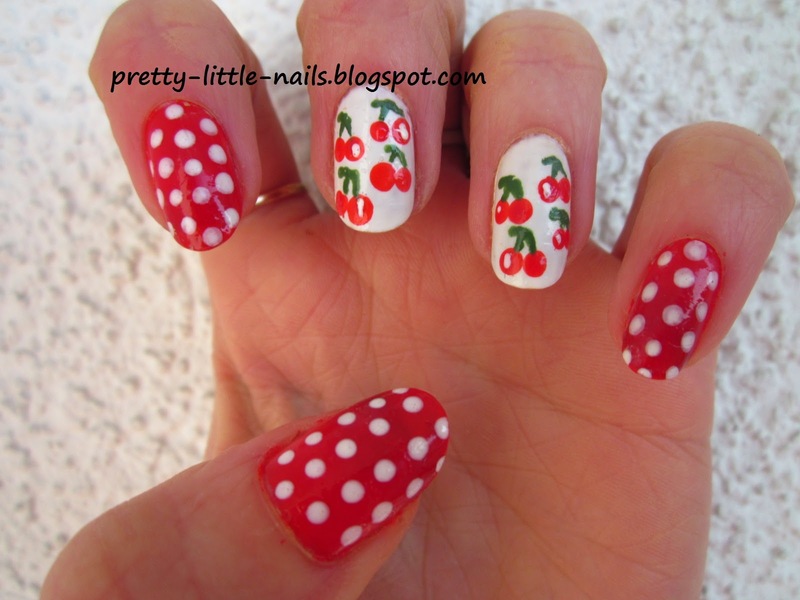 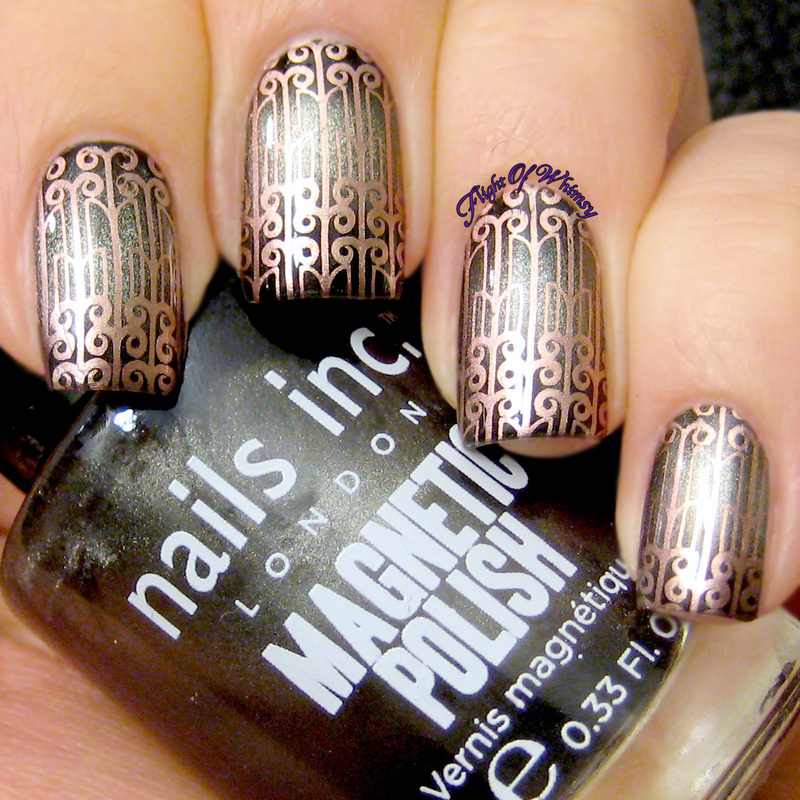 I'm not a red-girl but I'm definitely in love with this manicure and its outcome!